Double-incuse Maple Leaf coin. Photo by Royal Canadian Mint. The Royal Canadian Mint announced this week the launching of three new bullion coins targeted at precious metals investors. 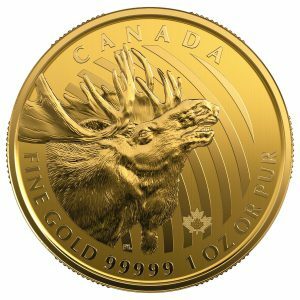 In a press release, the institution said that the pieces include double-incuse Gold and Silver Maple Leaf bullion coins and its newest 99.999% pure gold "Call of the Wild" bullion coin, which features a moose. "Call of the Wild" bullion coin. Photo by the Royal Canadian Mint. 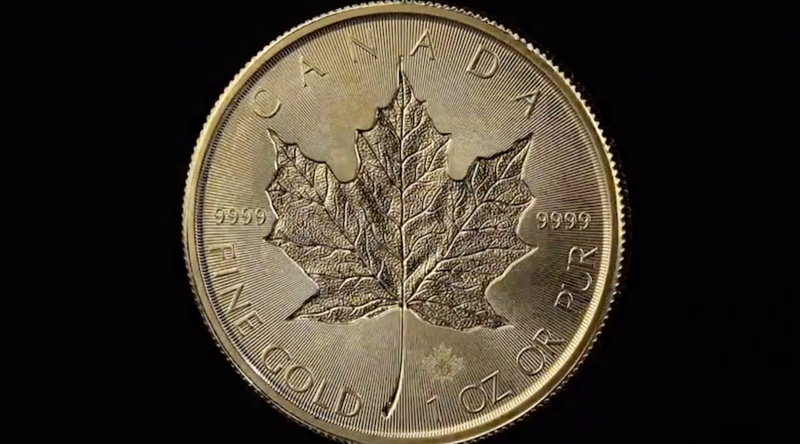 “To mark the 40th anniversary of one of the world's favourite gold bullion coins, the Mint has crafted its first ever double-incuse version of its iconic Gold Maple Leaf. This means that the signature sugar maple leaf reverse design and the effigy of Her Majesty Queen Elizabeth II appearing on the obverse are struck in a concave relief. This perspective is also found on a 2019-dated Silver Maple Leaf bullion coin,” the media brief reads. Both the yellow and the grey metal pieces have a finish consisting of an array of radial lines and their reverses feature a micro-engraved security mark in the shape of a maple leaf containing the number “19,” to denote their year of issue. They also feature the Mint's unique Bullion DNA anti-counterfeit technology. The 2019-dated “Moose,” on the other hand, has a $200 denomination and represents the highest value legal tender among the world's 1 oz. gold bullion coins. The media release reveals that the coin’s reverse was designed by Canadian artist Pierre Leduc, who decided to illustrate an imposing bull moose behind which curved lines symbolize the sound of his unmistakable call.